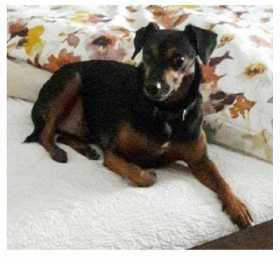 Cleo is a 5 year old Miniature Pinscher who ran away from the area of Hilliard-Rome and Fisher Road late yesterday afternoon (03/27). He is without a collar and timid, especially around men. Please contact us if Cleo is found or if you see him!